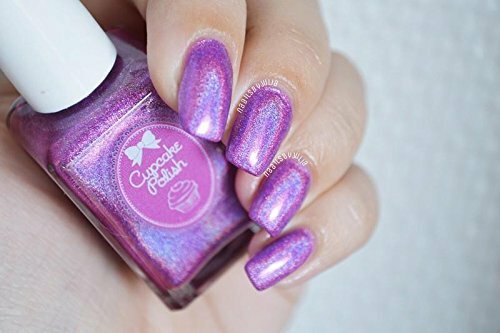 Best selling and top-rated lilac linear holographic nail polish! This listing is for a standard full-sized 15ml /.5oz bottle. 5-free nail polish that does NOT contain Toluene, Formaldehyde, or Dibutyl Phthalate. Please note, colors may vary slightly depending on the screen resolution of the device or computer that you are viewing on. If you have any questions about this product by Cupcake Polish, contact us by completing and submitting the form below. If you are looking for a specif part number, please include it with your message.